In honor of Lord Ganesha, Sankashti Chaturthi Aka Sankatahara Chaturthi is celebrated. People worship Lord Ganesha to overcome their hurdles in life and to come out as an achiever in their difficult times. It is a felicitous Hindu festival which is noticed every month on the “Chaturthi” (Fourth Day) of the Krishna Paksha (the falling phase of moon). It is also known by the name of “Sankat Hara Chaturthi” in the state of Tamil Nadu in India. The most promising and auspicious Sankashti Chaturthi is broached as Angaraki Chaturthi which falls on a Tuesday. 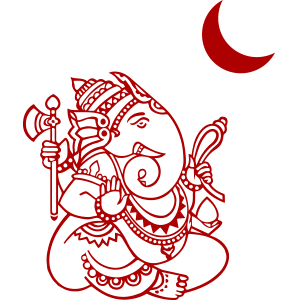 The lunar months in the Hindu Panchang showcases two Chaturthi Tithis. ‘Sankashti Chaturthi’ falls after Puranmasi or on the full moon day during the Krishna Paksha and ‘Vinayaka Chaturthi’ falls after Amavasya or on the new moon day during the Shukla Paksha. Sankashti Chaturthi is celebrated commonly both in the Northern and Southern states of India. The word “Sankashti” is originated from Sanskrit language which implies “liberation during the difficult times”. The devotees wake up early this day to worship Lord Ganesha and keeps the firm following the proper Sankashti Chaturthi fasting procedure. People who keep this fast can only eat the roots of plants, fruits and raw vegetables. The firm diet comprises of fresh potatoes, Sabudana and peanuts. Sankatahara Chaturthi Pooja is done in the evening after viewing the moon (Chandrodaya). Durva grass and fresh flowers are brought to decorate the idol of Lord Ganesha. Then the ‘Vrat Katha’ for the month is read to revere the Lord. Only after sighting the moon, the Sankashti fast is broken. The sighting of the moon is the sacred ritual followed on the Chaturthi Tithi. After the Sankashti Chaturthi moon rise, the fast is broken. It is believed that all the desires get fulfilled if an individual keeps this fast. There are total 13 Vrats which constitutes the perfect cycle of Sankashti Chaturthi and for every Vrat there is a different Vrat Katha. ‘Adika’ is the last Katha which can be just read once every four years.